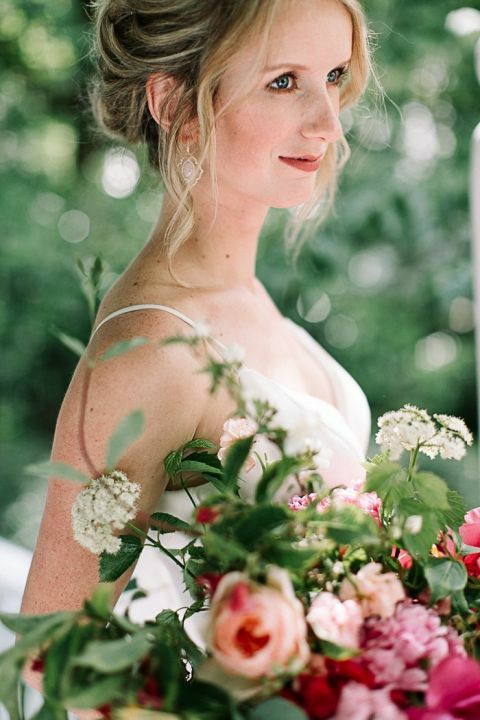 Prepare to be smitten with this garden romance wedding shoot from Ashley Cook Photography and Event Crush! The lush gardens and elegant Queen Anne manor house at Deepwood Museum & Garden inspired the luxurious florals from Ali Briskey Designs. A peach and bright pink color palette perfectly suited the greenery of the summer gardens and the elegance of the historic surroundings! 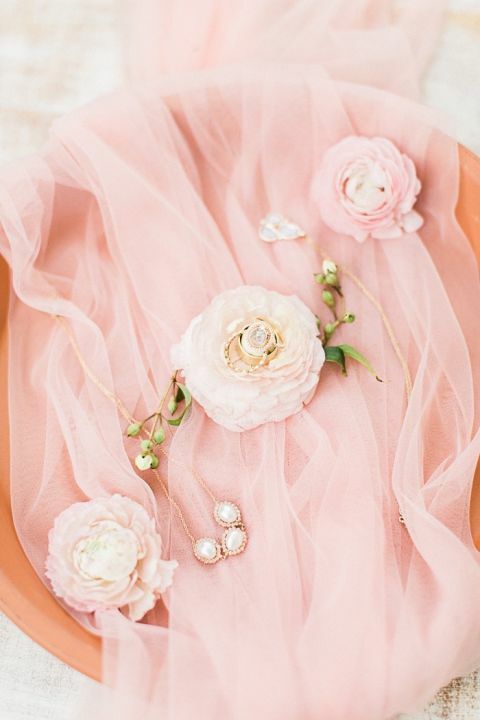 Lovely floral details, inspired by the venue’s formal gardens, make this stunning summer shoot one to remember! 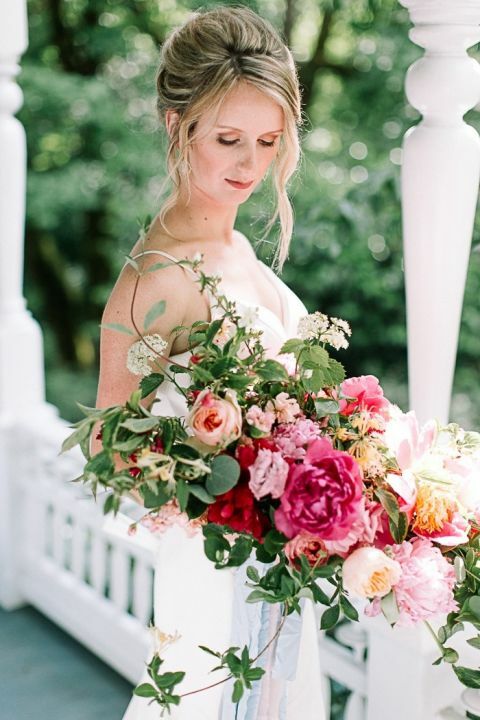 The bride wore a timeless crepe gown by Stella York from Blush Bridal – the clean fitted silhouette and classic button details made a lovely canvas for Ali Briskey Designs‘ oversized bouquet of peach garden roses, pink peonies, Queen Anne’s lace, and jasmine vines. More organic summer flowers adorned with antique Sweetheart Table – a poppy and peony pedestal centerpiece created a beautiful focal point on the peach silk table runner. 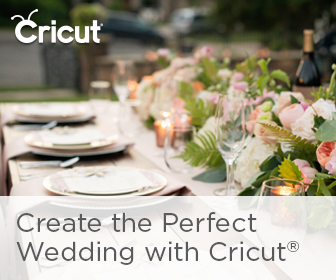 The bright pink flowers, terra cotta chargers, and rosé toasting flutes created an elegant summer tablescape accented with ripe peaches at each place setting. Amy Tacchini created an amazing hand painted wedding cake that served as a shopstopping reception detail. The stunning confection included marbled fondant and a watercolor inspired floral pattern accented with edible gold leaf. 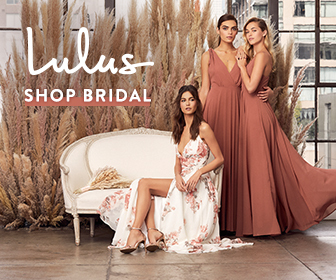 Many of the shoot’s beautiful floral elements were inspired by the venue’s greenhouse, where they shot unforgettable portraits of the bride and groom!